Vivian Prickett was born with a complex congenital heart defect and spent the first six months of her life in the NICU. At just 10 days old she had open heart surgery. 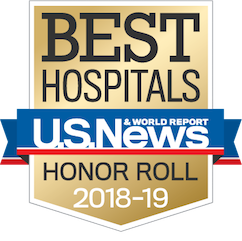 Over the course of 5 years, she had 3 open heart surgeries and numerous cardiac interventions here at UCLA Mattel Children’s Hospital. Recovery was not easy but through it all, Vivian never gave up. She is a fighter and a miracle! 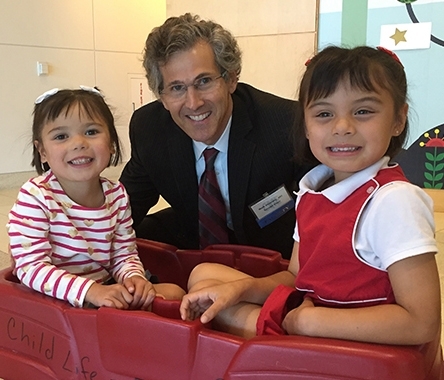 As a way of thanking the doctors, nurses and staff at UCLA Children's Heart Center, and helping the many children currently being treated there, Vivian and her twin sister Victoria organized a toy drive to celebrate their 5th birthday in 2016 to help many other children as they journey toward heart healthy lives. 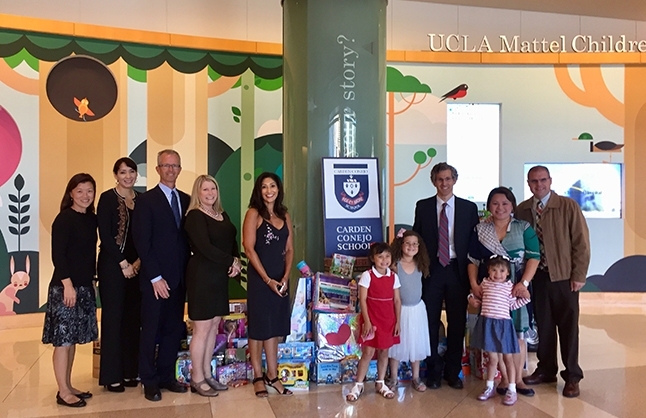 Now on its second year, the six year old kindergarteners were able to hold yet another successful toy drive with full support from their school, Carden Conejo in Westlake Village, and the Carden Conejo Parents Association. The toy drive was held during the school’s Family Movie Night and admission to the event were toys that will benefit the pediatric cardiology patients at UCLA Children Heart Center. The toys were turned over to Vivian’s cardiologist, Mark Sklansky, Chief of Pediatric Cardiology and Medical Director at the Children’s Heart Center. In this photo, Dr. Sklansky is joined by the Prickett Family, Bob & Holly Fleming of Carden Conejo School, and Board Members of Carden Conejo Parents Association Bettina Bush Holzman, daughter Cassie Holzman, Jean Kim and Rocio Marron.